21 Sep What’s on the easel? The trendy, but classic selections for this Kitchen will really make the client’s new open space really feel warm and comforting. 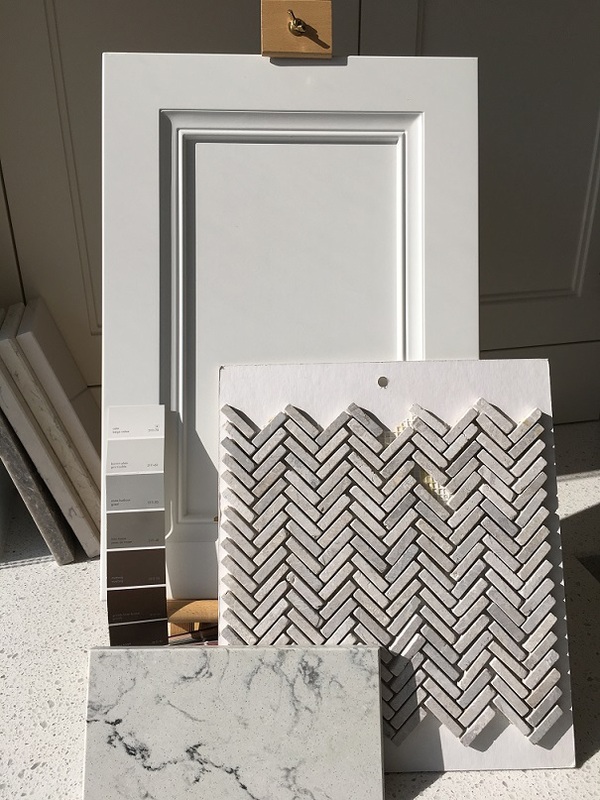 The shaker style door with the additional bead really adds a traditional touch, but with the warm grays into the space makes it very current. This neutral colour palette, allows us to have some creativity with paint colours, hardware and lighting textures. Hang tight, as this will be featured as one of our before and after’s!